What do I do when my spouse dies? Acting slightly out of accordance with the law — even by mistake — can make you vulnerable to the appearance of having conducted bad behavior. Portability is the term used to describe a surviving spouse’s ability to take on the deceased spouse’s unused estate tax exemption and transfer it to your own plan. If you haven’t elected portability since it came into effect in 2011, there may still be time to take advantage of it thanks to a new IRS regulation called Revenue Procedure 2017-34. This rule allows surviving spouses to file for late portability election, which can, in turn, save significant taxes and create new opportunities for additional planning. Even if your spouse passed away several years ago, you might be able to take advantage of the new regulation – give us a call today at (678) 809-4922 to find out whether you’re eligible. The period immediately following the loss of a spouse is one of the most difficult challenges life puts in our paths. Concern yourself with the personal aspects of grieving and healing, and know that you aren’t alone when it comes to the complicated and often confusing task of sorting out his or her estate — far from it. 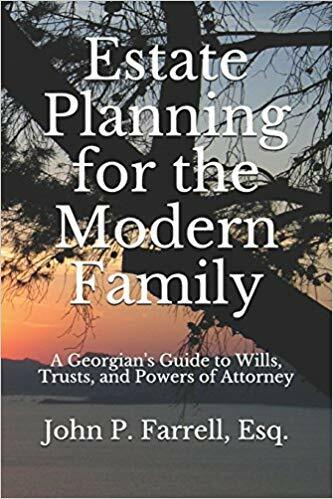 Contact us right away at (678) 809-4922 or get our book, Estate Planning for the Modern Family, and let us help you handle the legal and financial needs of the moment. Previous Previous post: Should I have an estate plan for my Bitcoin? Next Next post: When should I update my estate plan?